Making video’s is a 21st century craft. Compare it with your baker: a good recipe combined with all the right ingredients forms a beautiful product. A simple but tasteful piece of bread or a richly decorated cake. The Video Bakery bakes videos and media projects, from concept to premiere. At The Video Bakery we not only bake videos ourselves, but also teach the craft of video baking to others. With enthusiasm and active methods we engage youth and teachers in visual culture. In a world soaked in images the power of film shouldn’t be underestimated. 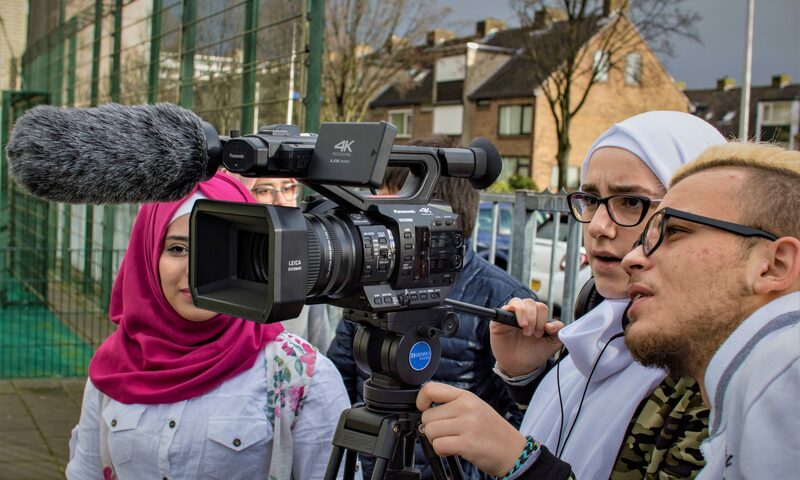 The Video Bakery is a coach for youth in making their first films. The Video Bakery was established in 2014 by Hemmo Bruinenberg. In 2018 The Video Bakery received a GAPMIL Global Media and Information Literacy Award for the Ithaka Film Festival. Read more about it on the UNESCO website. Interested in working together? Please find the contact details on the contact page.